Our September/October issue includes an article on the artists and art collections of Mobridge. 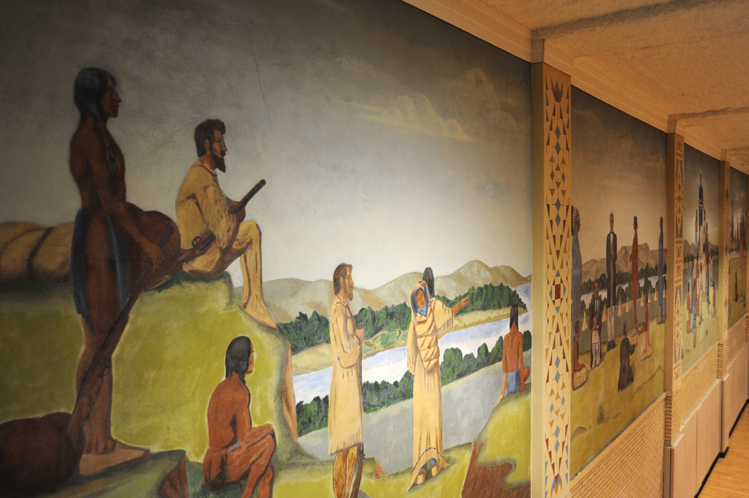 The city of 3,500 in Walworth County is famous for fishing and ranching, but it has also wrangled sculptures and paintings by some of the West’s preeminent artists. Bernie Hunhoff traveled to the Missouri River town last summer to explore and take photos — too many to print. Here are some that didn’t make the magazine. 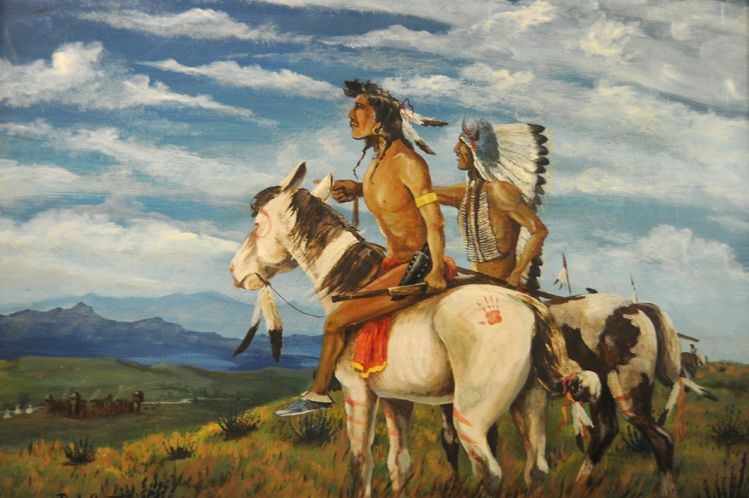 The Klein museum has many pieces of original art, including this painting by noted Sisseton author and artist Paul War Cloud Grant. 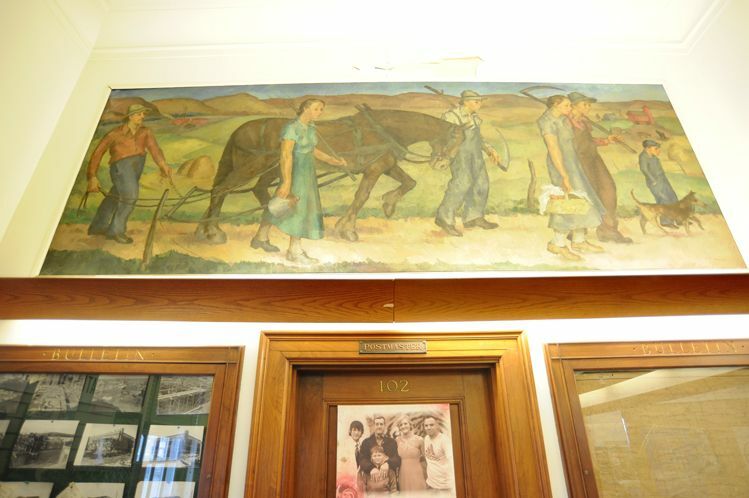 The Mobridge post office features murals by Swedish-born painter Elof Wedin. The murals were commissioned by the Treasury Department in the 1930s. 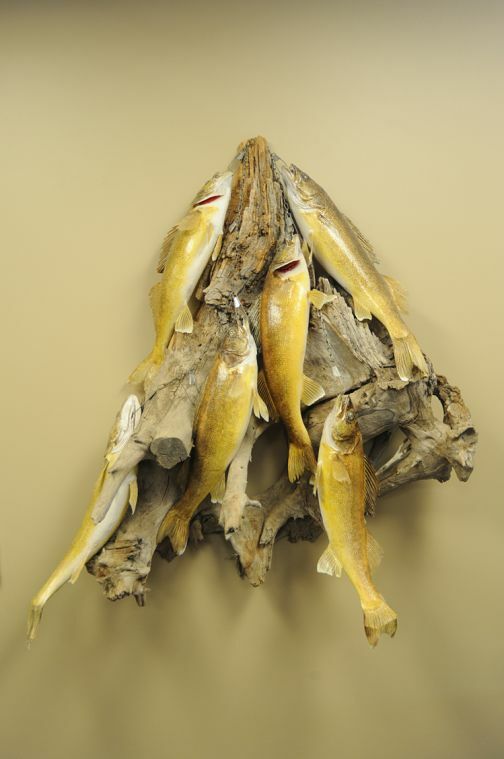 Banker Darrell Schlepp welcomes visitors to his lobby and offices, where you’ll see works by several artists with ties to Mobridge, including this taxidermy art by his brother Kevin Schlepp. 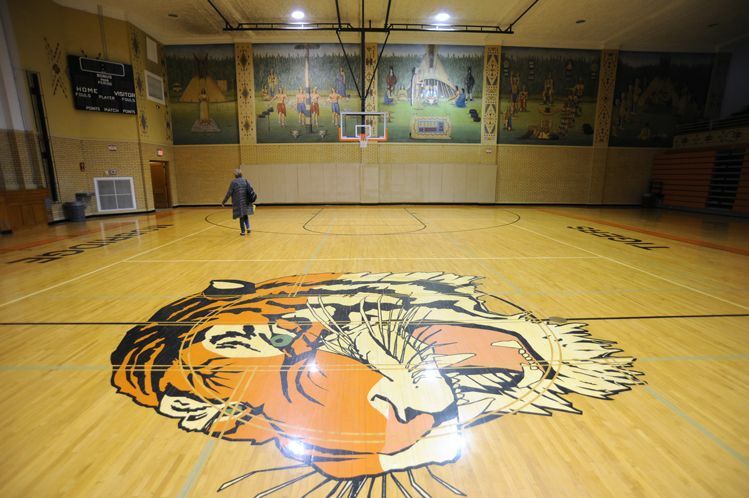 Oscar Howe was just 27 when he came to Mobridge to paint 10 murals in the city gymnasium. Though Howe had been drafted into the Army and was scheduled to go overseas during World War II, he gathered a small team and worked diligently on the paintings over a 12-day furlough. 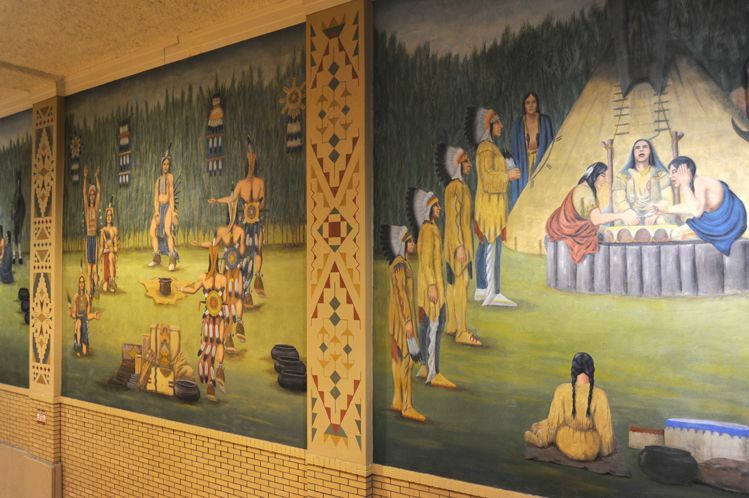 Five of the paintings depict history along the Missouri River. 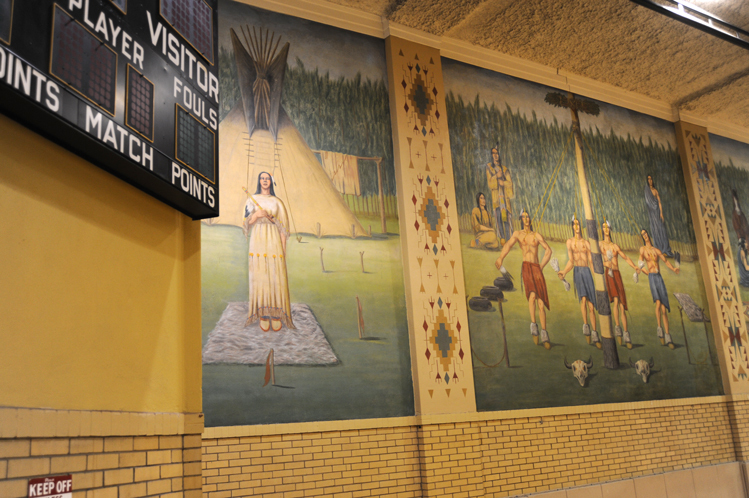 Others illustrate Sioux ceremonies that were outlawed by the U.S. government in an attempt at forced assimilation.